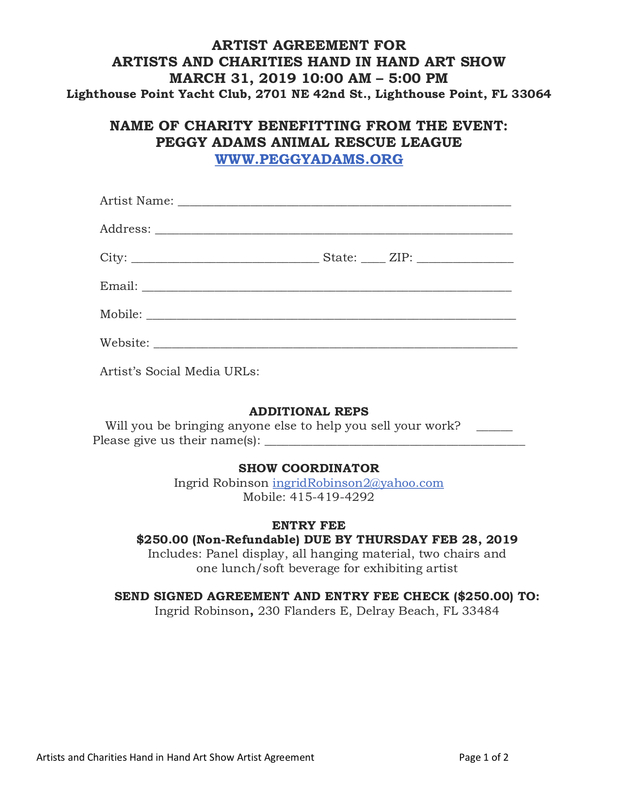 Artists and Charities Hand in Hand has opened a call for 2D and 3D artists (no jewelry) for their upcoming event at the Lighthouse Yacht Club on March 31 plus other events for the future. This is a unique opportunity to be part of a win-win-win situation! The artists benefit from all sales, the charities benefit from art sales and exposure to a new audience, and the art patrons benefit, knowing their purchase promotes local artists and local charities. 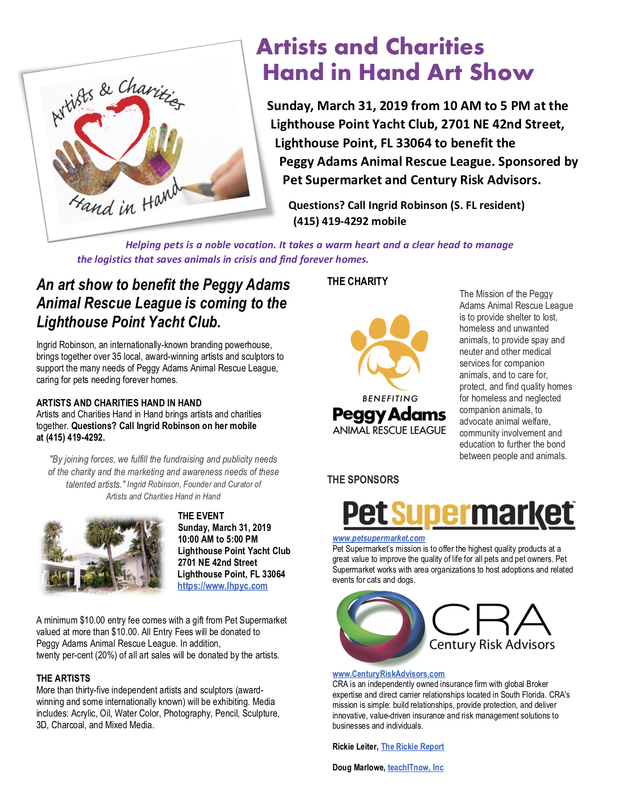 The Rickie Report shares the details for the March 31 event, which will benefit the Peggy Adams Rescue League. IF you cannot be part of the March 31 event, please apply and send your jpegs for future events! Artists and Charities Hand In Hand is calling for 3D and 2D artists to submit jpegs of their work to exhibit at a fundraising charity art show of 40+ artists to benefit the Peggy Adams Rescue League on Sunday, March 31, 2019 from 10 a.m. to 5:00 p.m. at the Lighthouse Yacht Club, Lighthouse Pt., Fl. 20% of all net sales will be donated to the charity. If accepted, there is a $250 exhibit fee to include a display booth 10′ x 80′, all hanging materials, 2 chairs and 1 free lunch/soft beverage catered by the yacht club. Space is limited and if applicant is not accepted for this event, he/she will be considered for a future charity/fundraising event. Deadline for all applications is February 28, 2019. 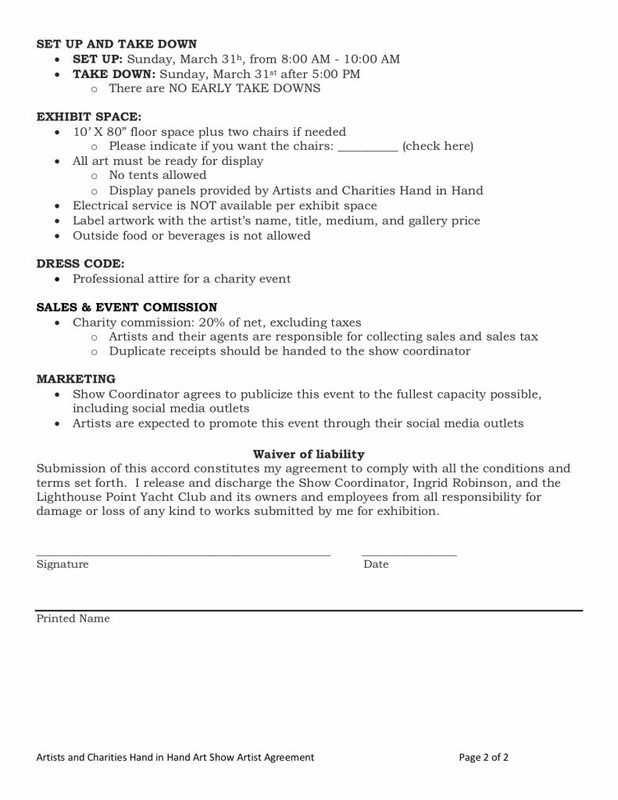 Please send images of work to ingrid@artistsandcharities.com with your contact info and price points of your art. Artists with strong sales followings are encouraged to apply. 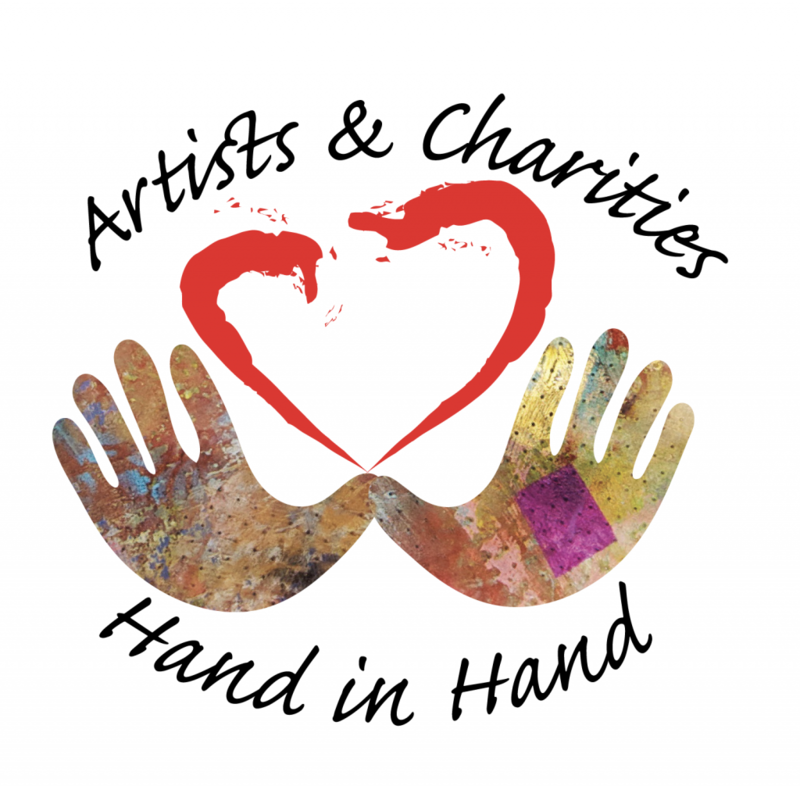 ARTISTS AND CHARITIES HAND IN HAND: Artists and Charities Hand in Hand brings artists and charities together.